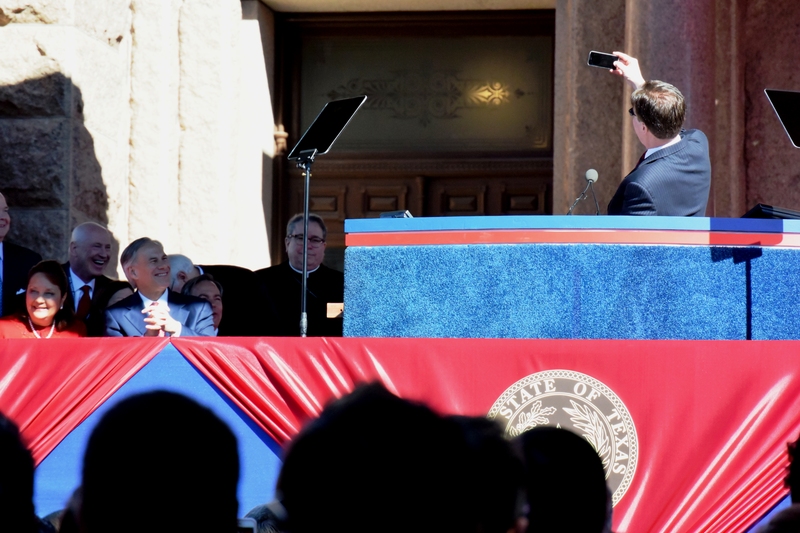 Although only an emerging Republican myself, I know that when Republicans have a chance to celebrate the legacy of Ronald Reagan, they will gather and celebrate. 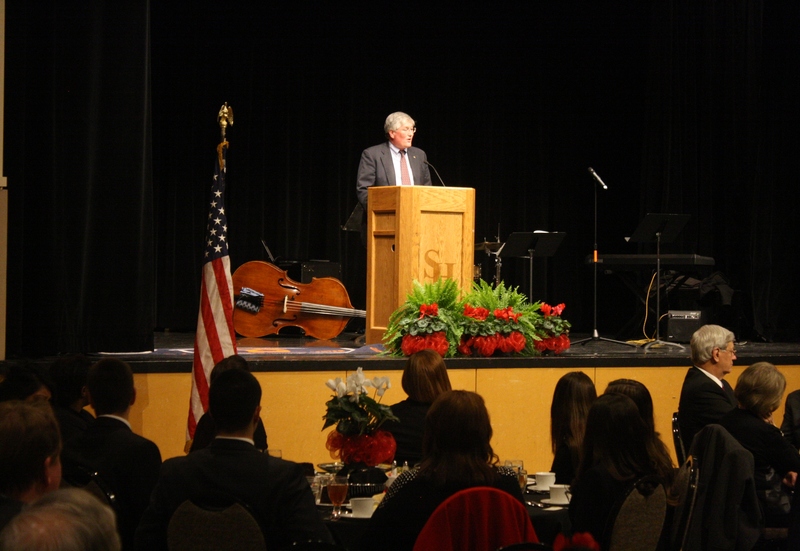 Not surprisingly, almost 200 students, local Republicans, and elected officials gathered last week for the annual Walker County Republican Party’s “Reagan Dinner,” to celebrate the legacy of the nation’s 40th president. 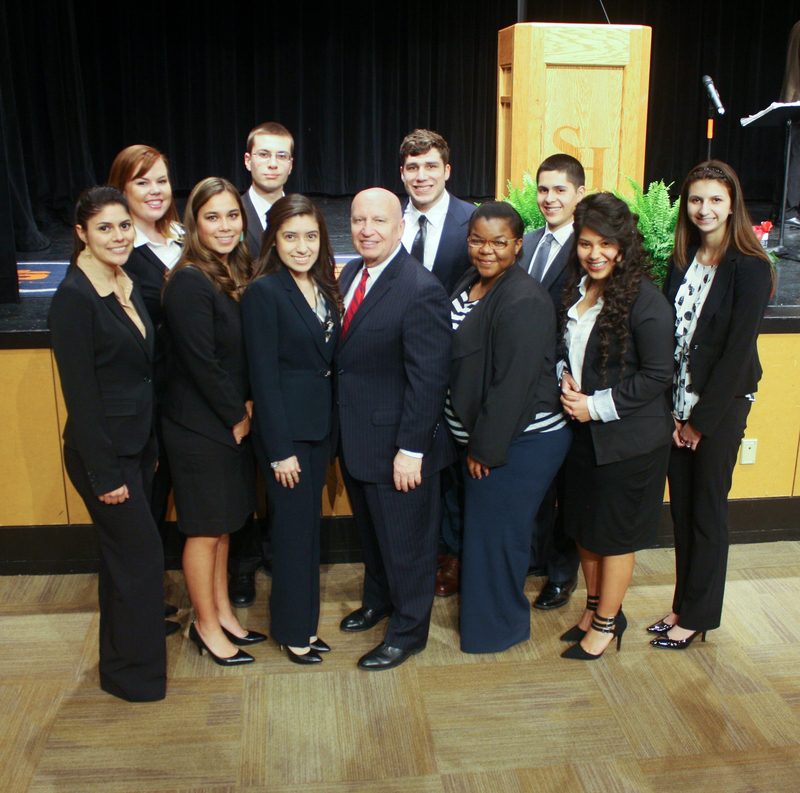 The event, held at the Lowman Student Center Ballroom on SHSU’s campus, featured a three-course meal, posting of the colors by the Cadet Color Guard from the Civil Air Patrol Sam Houston Composite Squadron, fine fellowship, lively entertainment from SHSU’s Jazz Band, and speeches by Congressman Kevin Brady and Dr. Jon Taylor, Chair of the St. Thomas University Political Science Department. It was perhaps appropriate that Dr. Taylor was the keynote speaker, inasmuch as the event provided a political and community education for the SHSU students on hand, including myself and other members of SHSU’s Center for Law, Engagement, And Politics. 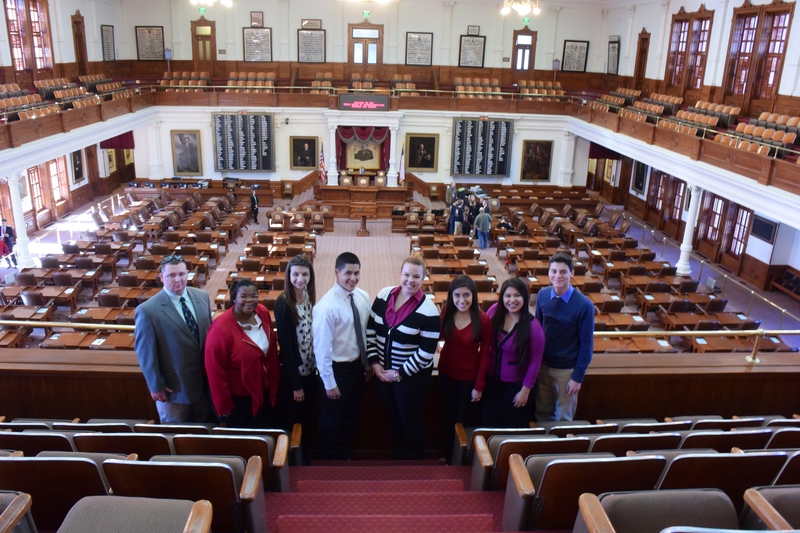 With our seats sponsored by Representative John Otto and Senator Charles Schwertner, we were able to converse with and learn from legislative staff. 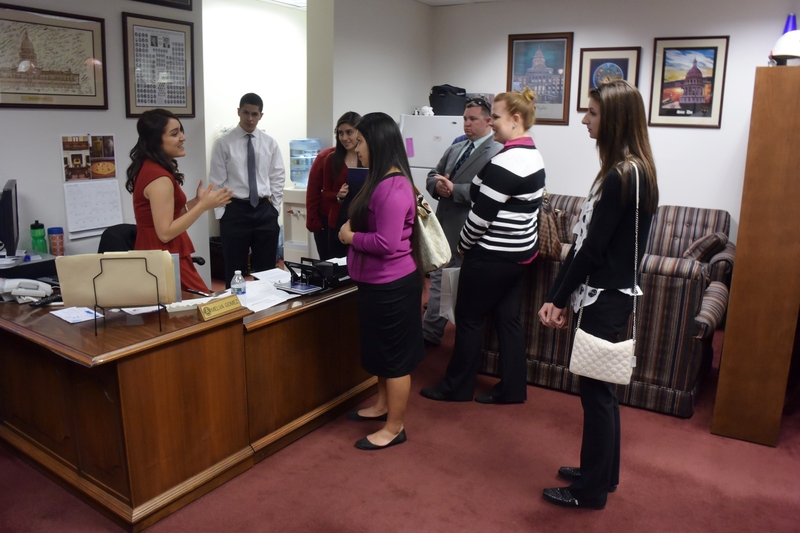 We also received a crash-course lesson on local community leaders. 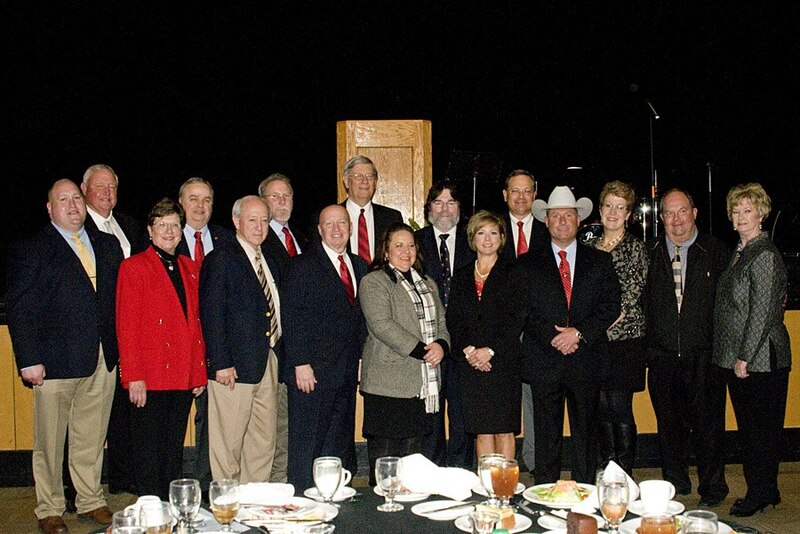 Republican County Chair Linda McKenzie welcomed us and the many elected officials that were on hand. District Judge Don Kraemer gave the invocation. Justice of the Peace Mark Holt (Pct. 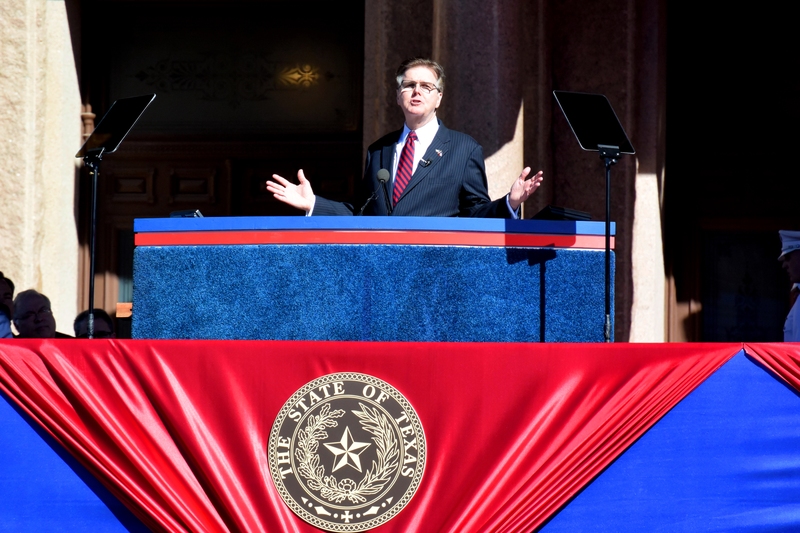 3) led the US and Texas pledges. County Court At Law Judge Tracy Sorensen sat with students, and provided insight on the duties of a newly-elected judge. Other local elected officials on hand included: 10th Court of Appeals Justice Al Scoggins, District Judge Hal Ridley, County Judge Danny Pierce, District Attorney David Weeks, Sheriff Clint McRae, Tax-Assessor Collector Diana McRae, County Clerk Kari French, Justice of the Peace Janie Farris (Pct. 1), Justice of the Peace Mike Countz (Pct. 2), Justice of the Peace Stephen Cole (Pct. 4), and Constable Steve Hill (Pct. 3). 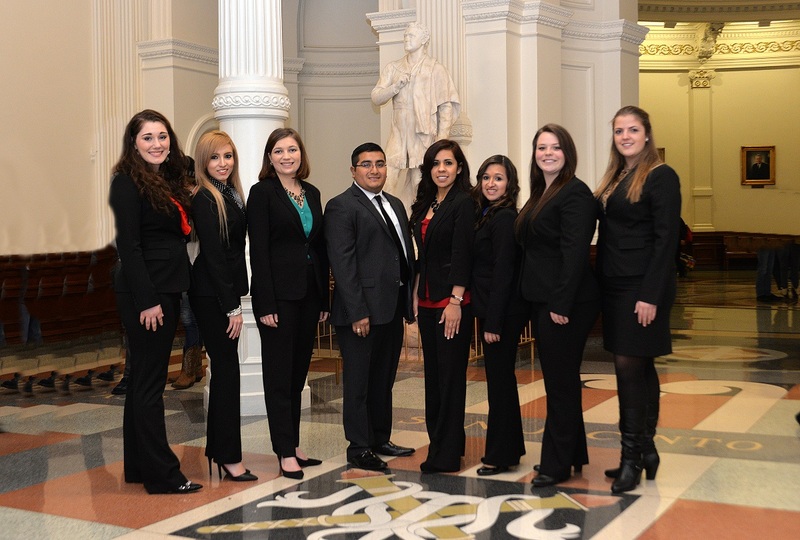 For a group of students transplanted to SHSU, it was a welcome introduction to Walker County. Congressman Kevin Brady provided a thorough update on the US Legislature, particularizing on the push to create middle-class jobs in the US and on Congress’s recently-passed legislation to allow for construction of the Keystone XL Pipeline. For students in their late teens and early 20s, it was an appealing message and an appealing evening. It was an evening filled with lessons on President Reagan, the responsibilities of elected officials, and enjoyable conversations. 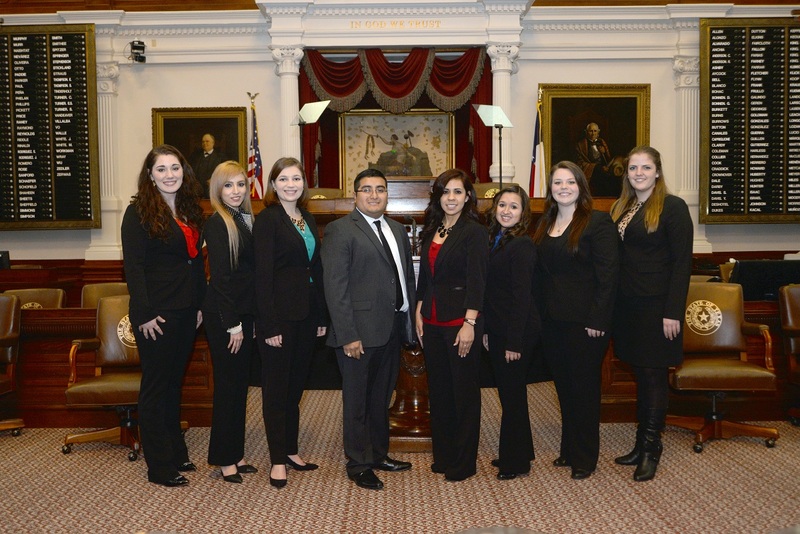 The LEAP Center at SHSU is a bipartisan organization offering unique learning opportunities related to fine arts, history, civil rights, literature and, in particular, law, engagement, and politics. 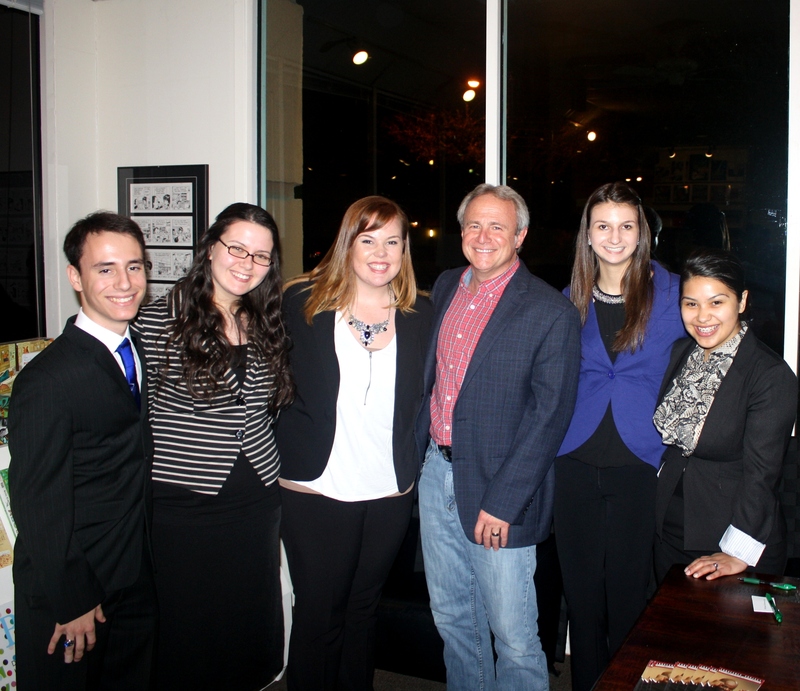 The students recently attended an event sponsored by the Harris County Democratic Party featuring Sissy Farenthold and former Governor Mark White, and will be touring Little Rock, Arkansas this week, with stops at Little Rock Central High, the Douglas MacArthur Museum of Military History, the Clinton Presidential Library and The Old Mill, the last surviving set of Gone With the Wind. 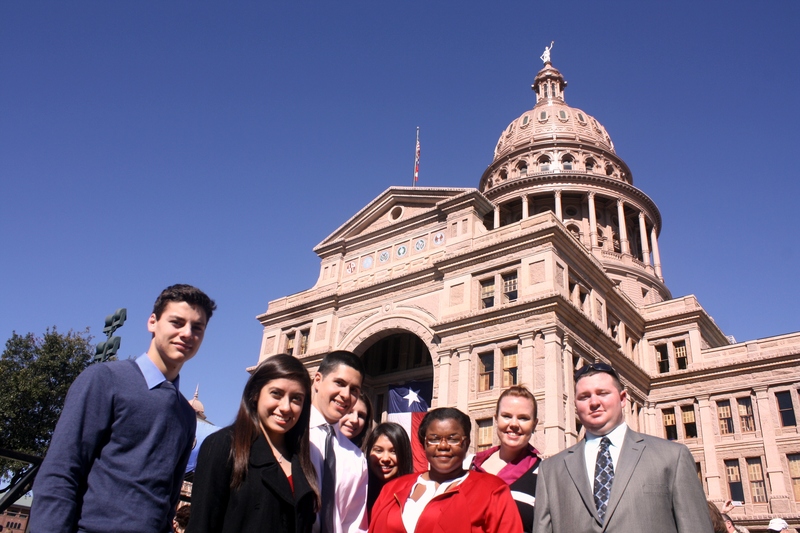 For the pre-law students at SHSU, there are some tough questions to ask as they prepare for law school. What should I include in the personal statement? Who should I ask for letters of recommendation? What should those letters say? What schools should I apply to, given my GPA and LSAT score? When should I take the LSAT? 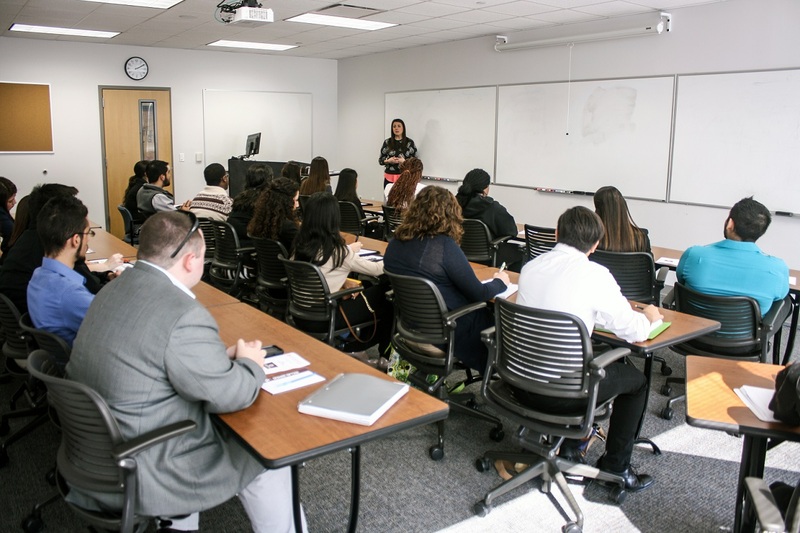 Those questions were answered last week at the LEAP Center’s “Law-School Information Session,” featuring a visit by Katherine Sims, of Texas A&M University School of Law. Ms. Sims is the Admissions Coordinator at TAMU Law, and she put her knowledge on full display, to the benefit of the students. Take the LSAT the year prior to your enrollment in law school. The LSAT is offered in February, June, October, and December. For students interested in going to law school in the Fall of 2016, for example, students should probably shoot for a June, October, or December LSAT. In a pinch, a February LSAT might work, but that’s typically after law schools begin making enrollment decisions. The best people to ask for a letter are people who know you and your skills, particularly in the areas of writing, critical thinking, and communication. Typically, these are professors, but a letter from an employer or intern supervisor can also work. For the personal statement, students should try to be themselves while, of course, putting their best foot forward. Ms. Sims resisted describing a “typical successful” essay, because the essays should be appropriate for the individual applicant—and the applicants all have different experiences, strengths, and reasons for wanting to go to law school. Of course, apart from the content of the statement, the applicant’s writing skills are closely scrutinized. The LEAP Center Advisory Board students would like to thank Ms. Sims for her information presentation, and the 25 pre-law students who attended to learn more about law school—and their future! For the past seven years the Junior Fellows/LEAP Center has offered a Mock LSAT each semester to help students prepare for the real deal. The LEAP Center encourages students of all classifications to take the Mock LSAT, which is generously sponsored by Kaplan Testing. 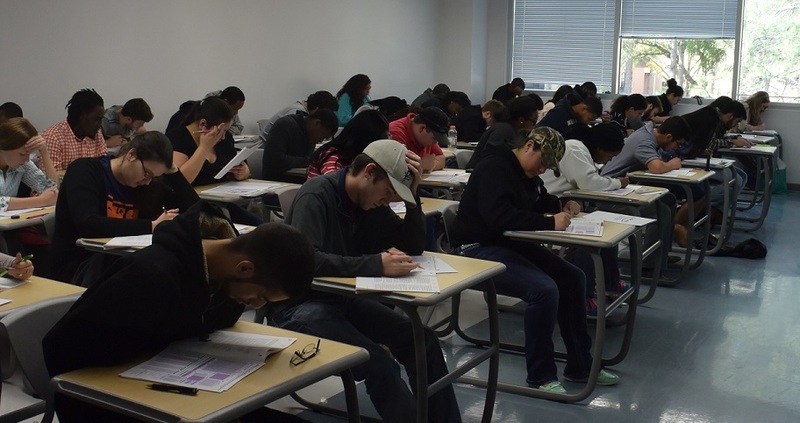 For freshmen and sophomores, the Mock LSAT provides an idea of what the test is like. A lot of younger pre-law students, for example, think the test asks about the law. It doesn’t. It asks questions about reading comprehension, logic, and arguments. For juniors and seniors, it provides an idea of how close they are to being prepared to take official LSAT. This has to be planned out, because the LSAT should be taken the year before the student wishes to enroll in law school. Forty-seven students showed up for this spring’s Mock LSAT, following a showing of 51 in the fall of 2014. These are the largest class of Mock LSAT takers in SHSU history, a testament to the University’s growing number of pre-law students. 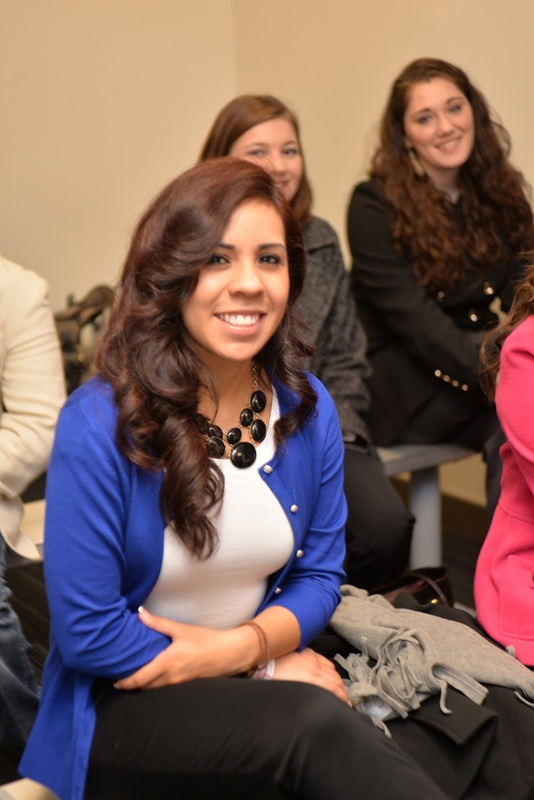 These programs are part of the LEAP Center’s mission of helping students achieve their professional goals. 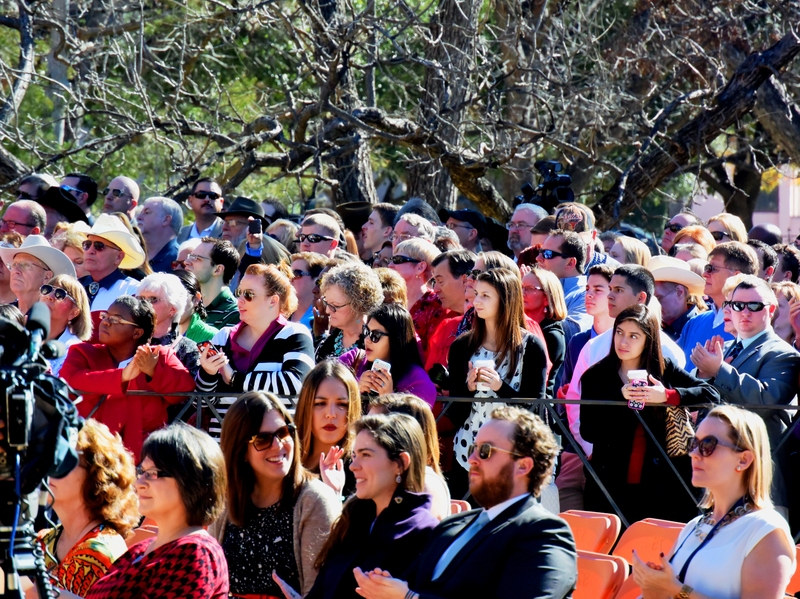 To attend any of the upcoming events, contact Professor Mike Yawn at mike.yawn@shsu.edu. 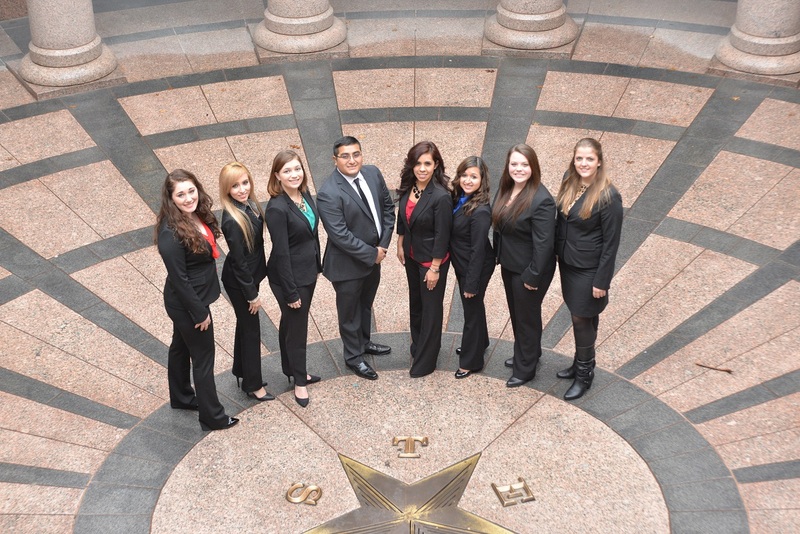 Sam Houston State University’s Austin Internship Program, run by the LEAP Center, is off to a rollicking start. 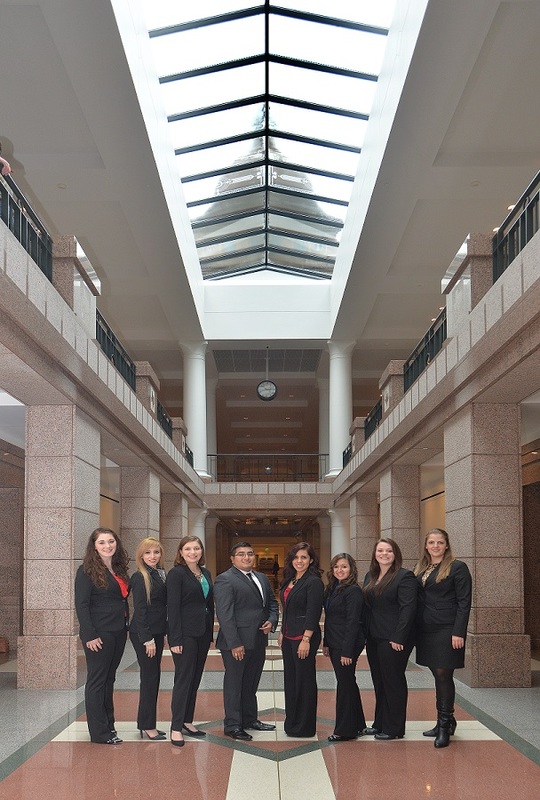 After undergoing orientation training from the crack staff in HR and Career Services, the eight Austin Interns–Oscar Aguilar, Jessica Rodriguez, Lexi Gonzales, Sadie McLaughlin, Ariel Traub, Lupe Cuellar, Shelby O’brien, and Sarah Landsman–underwent an orientation in Austin, Texas. The event was to start with a Segway tour of Austin, but with freezing rain in the forecast, we switched quickly to an iFLY tour. It wasn’t a tour so much, but it was a fun way to start the day. 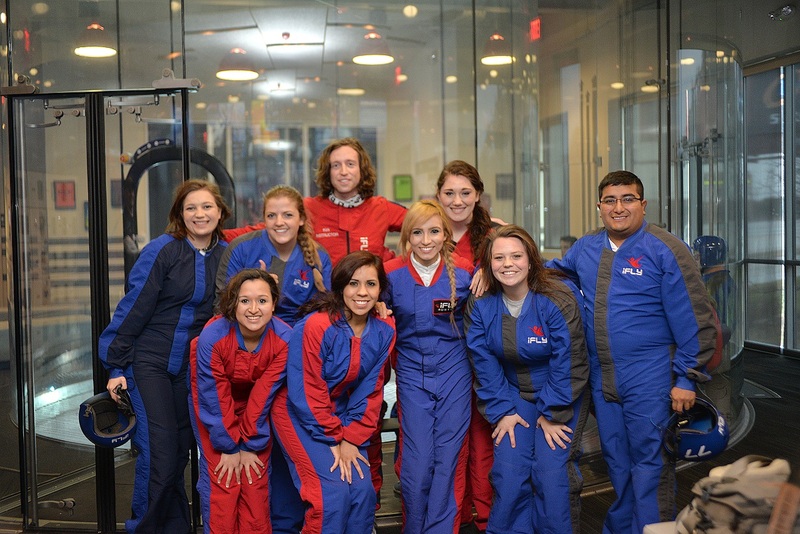 The day began with an orientation on iFLY’s unique flight system, which evoked some anxiety while also bringing smiles. But it was the flights that brought the big smiles. iFLY doesn’t provide a long time in the air, but it’s a lot of fun. Some of us were better than others, but all had a good time, or at least were glad they tried. The flights also provide that wind-blown look that is so flattering, perfectly complementing the smart flight suits. 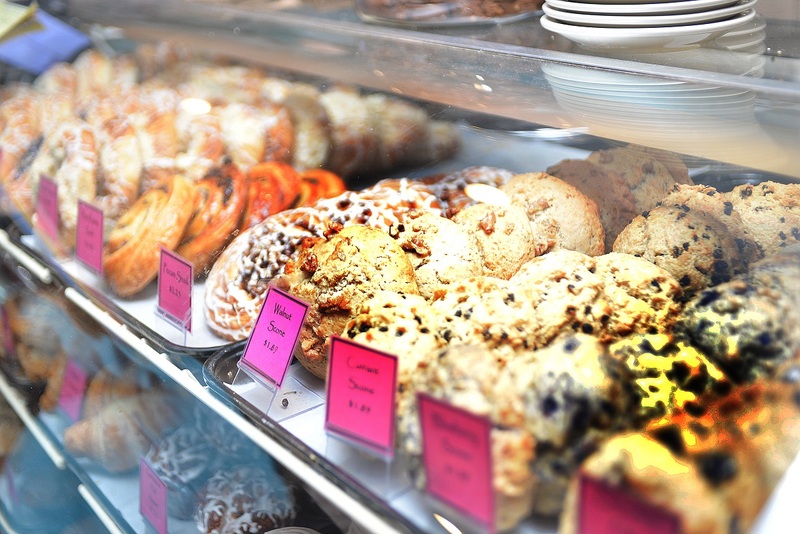 Following the adrenaline rush of iFly, we moved to Quack’s Bakery on 43rd for a caffeine rush and some pastries. For those who haven’t tried this mid-town delight, it’s definitely worth it. Try the ginger crinkle cookies or the chocolate ginger; you can’t go wrong. There was also some good conversation, with equal measure astonishment, disbelief, and delight. But, mostly, it was about the cupcakes. Armed with coffee and sugar, we embarked to the 2nd Bar + Kitchen, where we met Blake Roach, Emily Johnson, President Hoyt, and her husband John Hoyt. It was an enjoyable time for everyone, and we were very impressed and honored that Mr. Hoyt and President Hoyt drove in to spend time with us. 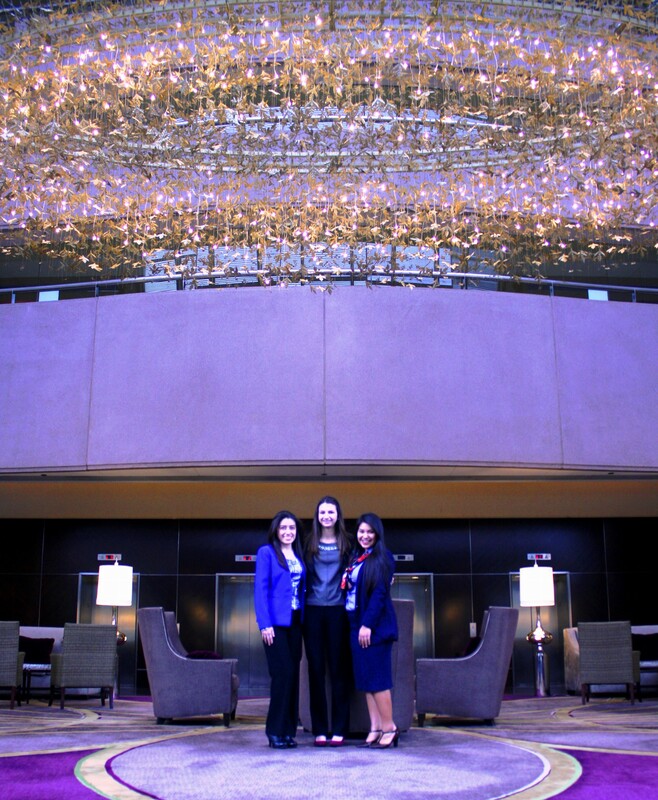 It’s a reflection of the support we’ve received since we started this 140 day Austin odyssey. It was a great group outing, which we ended with a great group photo! 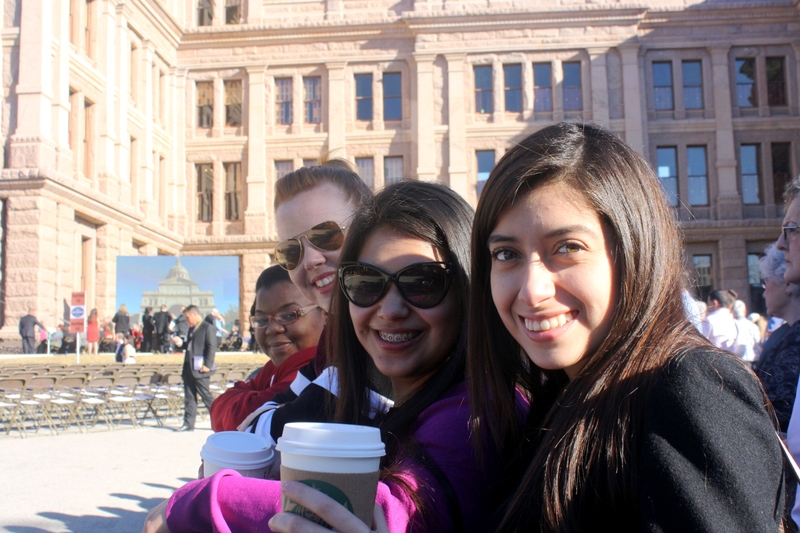 …and individual shots of us, with Sam Houston looking over our shoulder. 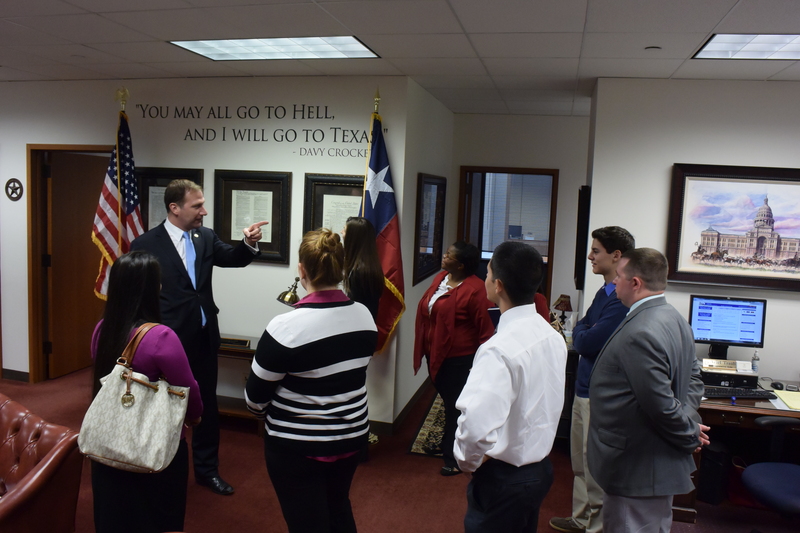 Indeed, these photographs with Sam Houston’s portrait on the wall serve as a kind of a metaphor for our time thus far. We have lots of family, friends, and University officials looking out for us, and ensuring we have a great time and learn a whole lot–even while dealing with dangerous flying missions and firearms! 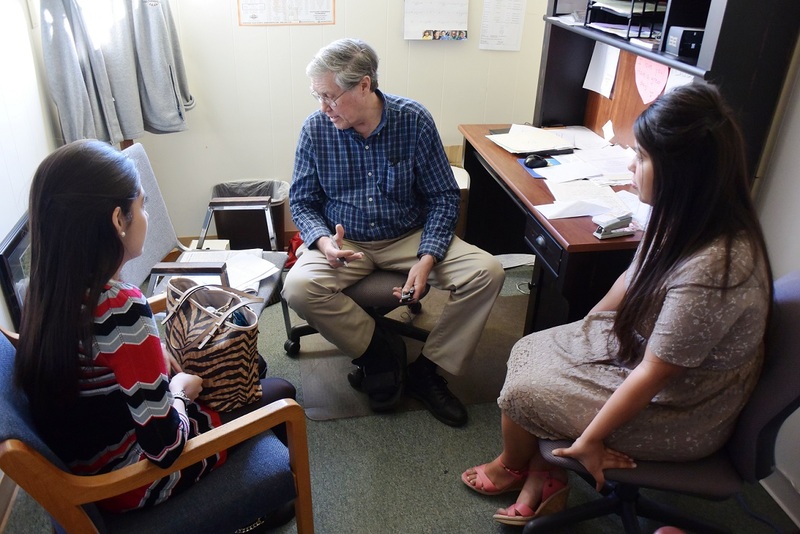 Students with the LEAP Center engaged in a global discussion with a well-positioned source early in the spring semester. 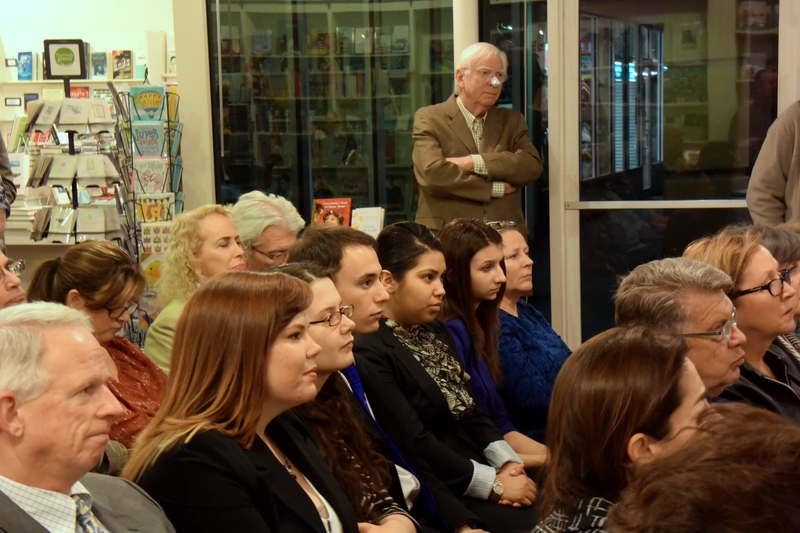 Roberta Jacobson, the Assistant Secretary of State, tackled topics such as democracy, energy, relations with Cuba, and democratization, giving SHSU students insight into diplomacy at the highest levels. Indeed, Secretary Jacobson recently returned from historic talks in Cuba, becoming the highest-ranking official to visit Cuba in 40 years. Her visit included an exchange with dissidents, a meeting that drew criticism from Cuba’s leaders, but which was part of a larger odyssey to thawing relations with its Communist neighbor. 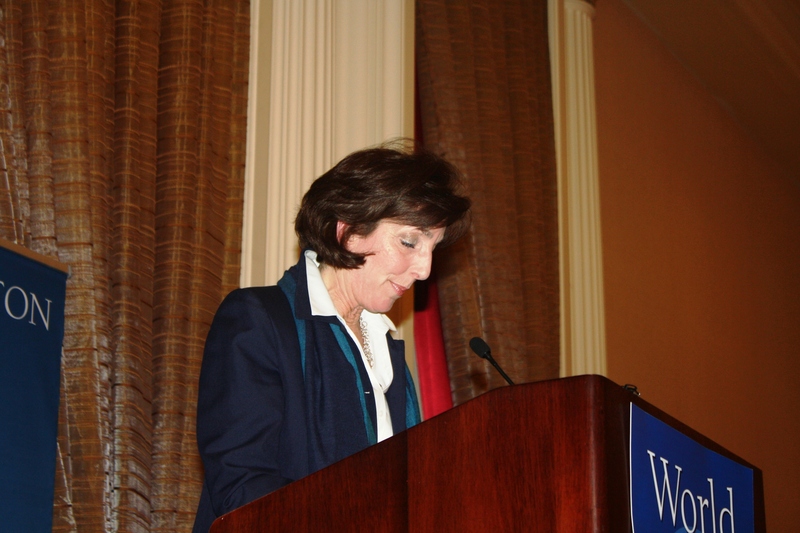 In her speech, Secretary Jacobson stressed the importance of trying a new approach in Cuba, after more than a half of a century of stagnant relations. Ms. Jacobson also discussed happenings in South America, where she had hopeful things to say about Argentina and Colombia. She tempered these hopeful comments, however, with an overview of the history of Latin America and the difficulties the region has faced with corruption, the drug trade, and achieving basic democratic objectives. 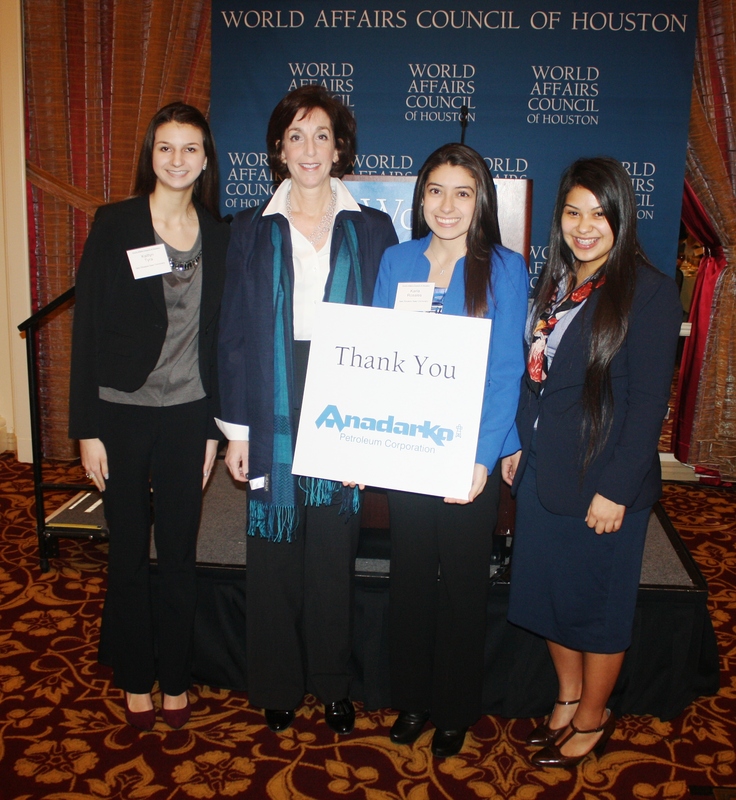 Although the bulk of her speech addressed the Americas, Ms. Jacobson also touched on China. Rather than seeing China’s growth as a threat to US power, she argued that growth would likely open China, and increase its demands for US products, helping both China and the US. 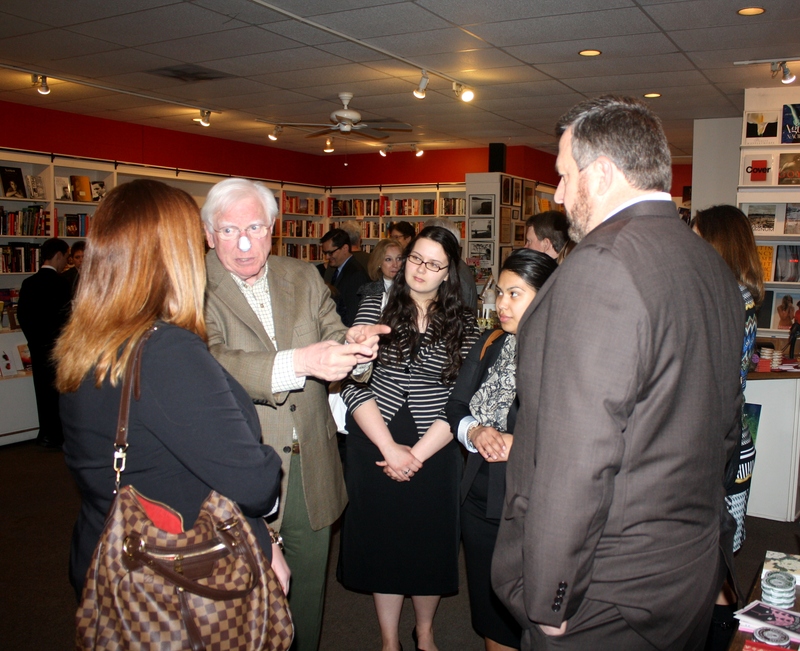 For the students, the discussion was an opportunity to hear from an extremely knowledgeable “guest lecturer,” while also serving as a call to learn more about international relations. 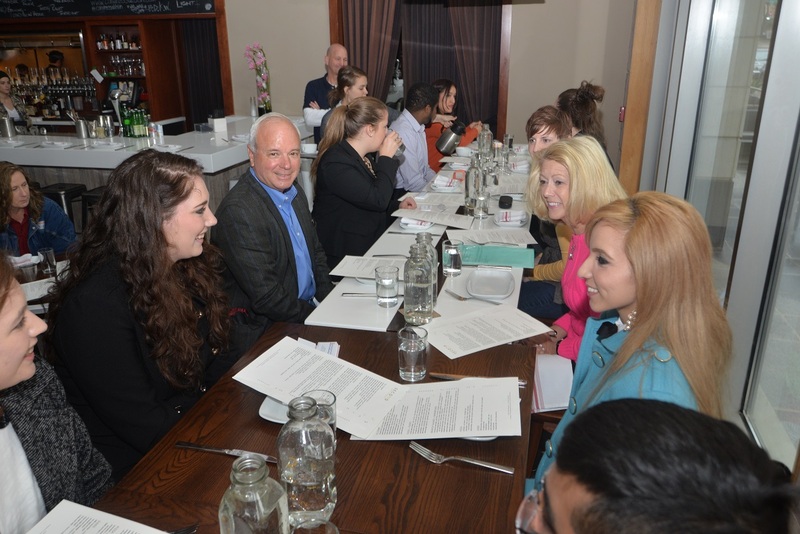 This week’s LEAP Center event offered students a rare opportunity: the chance to listen and ask questions of an average citizen thrust into incredible circumstances. 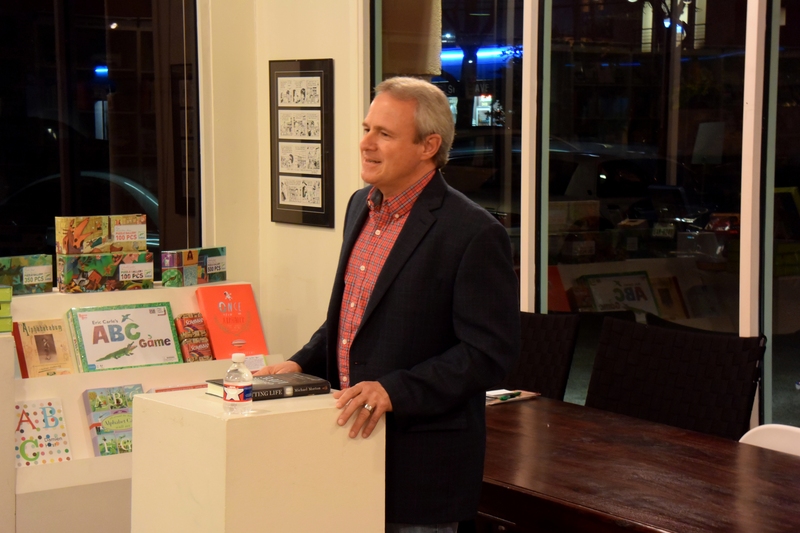 Michael Morton, famous for his new-found freedom after being wrongfully convicted for his wife’s murder, spoke at the Brazos Bookstore in Houston before one of his book signings for his memoir, Getting Life. During his remarks, Morton stressed two major themes: (1) his humility and gratitude to those who assisted him, such as the Innocence Project and attorney John Raley, (2) forgiveness as a means of re-gaining control of life. For a man who spent 25 years in prison after being wrongly convicted, Morton seemed remarkably well adjusted, friendly, and lacking in bitterness. For us as college students living in a world of constant stimulation, the monotony of prison life described by Morton seem unthinkable. To survive a quarter of a century under those conditions seems impossible. Morton endured this imprisonment, while also mourning the vicious murder of his wife, and the loss of a relationship with his son. Morton’s courage in the face of such daunting circumstances provided us with some real perspective, and we left the event reflecting on our lives, feeling grateful for our freedom and other privileges. As students of the law, many of us felt a keen sense of shame and disbelief that the criminal justice system could fall so short of the ideals set for it, that justice could sometimes be corrupted, even if in isolated incidents. For those students considering criminal law as a possible career, Michael Morton’s words served as a reminder of the ethics necessary to call oneself a member of the Bar and the challenges facing practitioners in putting society before self. Indeed, the speech provided “CLE”—continuing legal education—units for the attorneys there, and there were many. Governor Mark White introduced Morton. 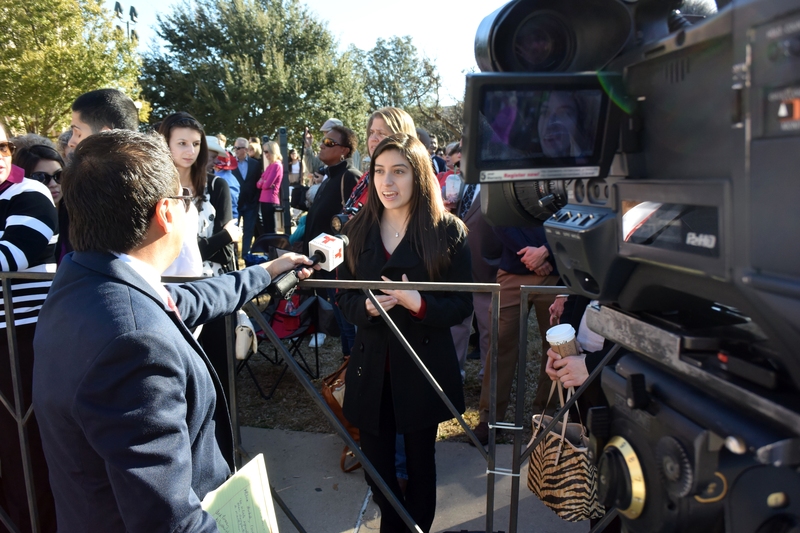 Representative Sissy Farenthold was there, almost seventy years after she was one of three women admitted to UT Law School. There were 797 men admitted that year. And attorney John Raley, who helped free Morton, was also there. It was a good night for people watching. 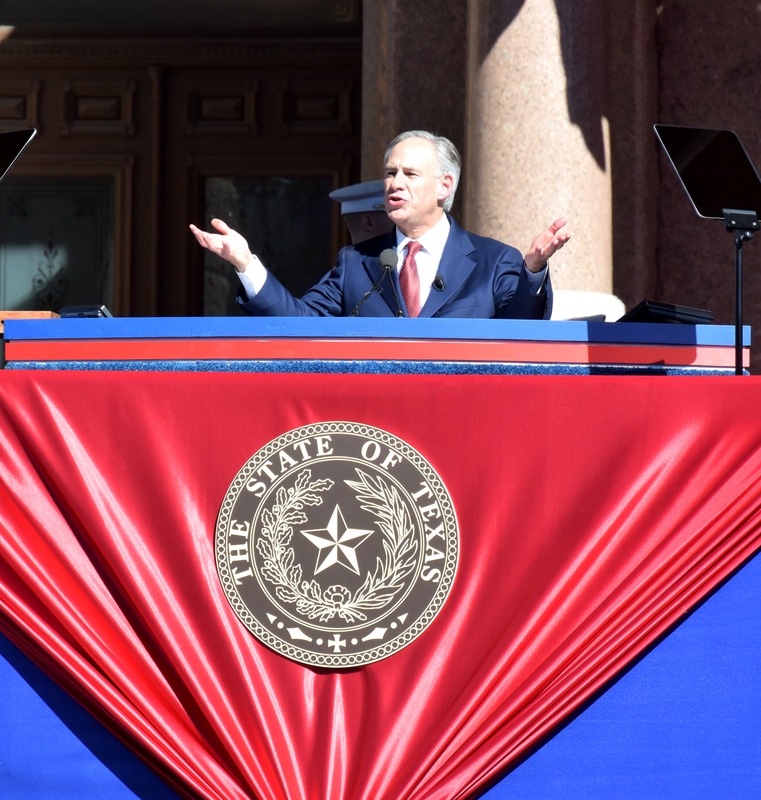 Governor White jumped in, arguing that once Gabel read Morton’s book, the difference between good lawyers and bad lawyers would be clear. After the event, Governor White, Attorney Raley, and other judges and attorneys engaged us with real-life examples of the good and bad. Interestingly, Carol Vance, the former Harris County DA who was a speaker at a previous LEAP Center event, featured prominently in the stories of good attorneys. 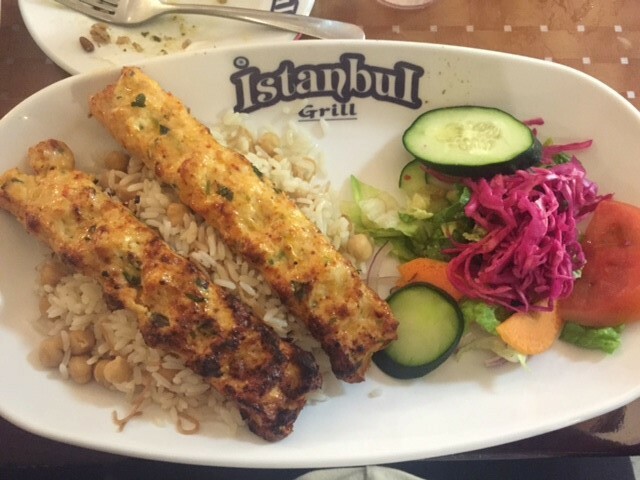 Following the book signing at Brazos Bookstore, we took a short drive down the street to the Istanbul Grill and Deli to enjoy some authentic Turkish food. Representative of Turkey, the restaurant décor was simplistic, yet incorporated traditional elements of the Turkish culture such as the eye of protection and the hamsa displayed throughout the restaurant. Before the main course, we sampled many different types of meze, similar to relishes or small appetizers. The tzatziki sauce was a crowd favorite when paired with the warm pita bread fresh from the brick oven. We also sampled the humus, tabuli, ezme, and various other types of meze. All had a distinct flavor and were delicious. For our main course, the group ordered various meals. Some enjoyed the vegetarian options such as the mantar (stuffed mushrooms); another tried the donor (gyro) sandwich; and another tried the iskender, which involved both a yogurt base and a tomato-sauce topping. Most dishes were served with rice and a garden salad. After everyone finished their meals, most indulged by enjoying baklava for dessert. The popular sweet and buttery pastry was the perfect way to end an eventful night in Houston. With full stomachs and a sense of gratitude, we departed for Huntsville.